Henry Jackson Foundation Medical Research International (HJFMRI) In Support of the U.S. Military HIV Research Program (MHRP)is an internatP)is an international non-governmental organization working in several countries providing care and treatment to people affected by HIV/AIDS and conducting research studies and has been actively involved in HIV and AIDS programming for over 30 years. HJFMRI implements PEPFAR funded HIV prevention, care and treatment activities in the Southern Highlands, providing resources, personnel ans, personnel and services to the Zone. The program has expanded from supporting the Mbeya Zonal Referral Hospital in becoming a hub for anti-retroviral treatment in the Southern Highlands zone; to community support through decentralized services, with the overall objective of implementing research, clinical HIV, preventiol HIV, prevention, care and treatment services in Mbeya, Rukwa, Katavi, Ruvuma and Songwe regions in the zone. In collaboration with the Ministry of Health, Community Development, Gender, Elderly and Children (MoHCDGEC) and community NGOs, HJFMRNGOs, HJFMRI has been leading a comprehensive HIV and AIDS care and support program in the Southern Highlands of Tanzania since 2004. The program, which is sub-contracting with Regional Health Management Teams (RHMTs) and 14 community outreach partners, extends to 25 district councils in the five regions. Collee regions. Collectively, the zone, which has one of the highest HIV prevalence rates in Tanzania, represents a catchment area with close to 6 million people (13% of the population of Tanzania mainland). Despite remarkable achievements made over the past ten years, the expansion of HIV care and treatment interventions remterventions remains critical both at the facility as well as the community level. 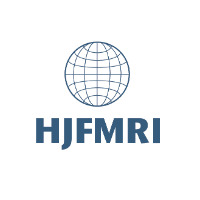 HJFMRI is seeking qualified candidates to fill the position below. Under the supervision of the Regional Clinical Coordinator, the District Program Management Officer will guide and monitor the implementation of HIV/AIDS prevention; care and treatment activities supported through the HJFMRI and carried out in alignment with the current Tanzania MoHCDGEC guidelines in selected districts in Mbeya, Rukwa and Ruvuma.Songwe and Katavi regions of Tanzania. The District Program Management Officer will be stationed in the respec­tive districts. The District Program Management Officer will take on responsibilities within the district in terms of providing regular supportive supervision and remediation plans for gaps identified at health facilities. S/he will assist in identifying and supporting capacity development of facility staff, as well as conducting basic M&E activities to monitor care and treatment programs. In collaboration with district HJFMRI SI focal effectively work with , DMO office and facility leads to agree on target distribution and ensure regular review of progress to targets and establish regular site level meetings for data review and service quality improvement. Work with CHMT and facilities to identify clinical, infrastructure and human resource needs for the quality implementation of HIV care and treatment services in the district. Medical Degree is mandatory from a recognized institution and must be registered with the relevant professional body in Tanzania; postgraduate training in internal medicine or infectious diseases will be an added advantages. NOTE: to be considered, applicants must put the TITLE OF THE JOB in the SUBJECT LINE, hand delivery applications are not accepted. Deadline for submission of the application is February 21, 2019. Those who do not meet the minimum requirements as detailed above should not submit applications. APPLY TO: recruitment@wrp-t.org Before February 21, 2019.